Laboratory facilities at Indira Gandhi Institute of Medical Science, Patna has been started with a view to provide wide range of Laboratory investigations, for the welfare of patients. It consists of disciplines of Biochemistry, Pathology, Microbiology & Serology, Haematology, Immunology, Infectious diseases, Histopathology. All these specialties provide qualitative and quantitative analysis of blood and various body fluids, enabling Clinicians to come to a diagnosis. The greatest emphasis has been given to ensure accuracy, precision reproducibility and speedy reporting. The laboratories are equipped with state-of-the-art equipments. To operate these sophisticated gadgets the laboratories have a team of efficient, motivated, and qualified Doctors and technical staff who are constantly involved in producing effective results and upholding quality assurance. All the blood samples of Laboratory investigations are collected using system of collection, which avoids contamination, thus any gross error. The laboratories at Indira Gandhi Institute of Medical Sciences, Patna aims to provide round the clock services i.e. 24 hrs a day, 365 days in a year to itpatients. 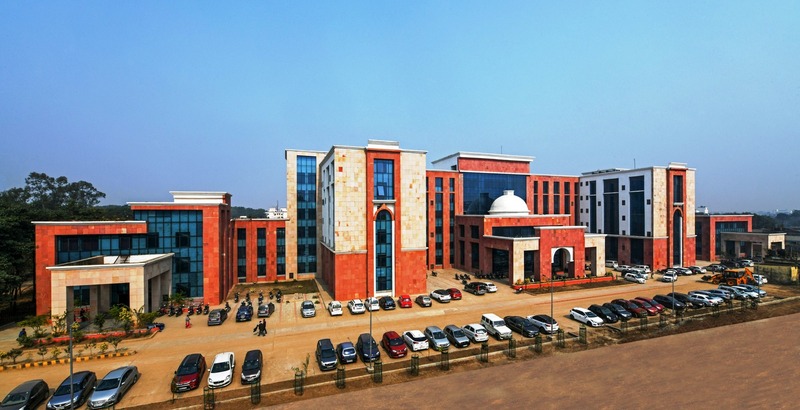 The Department of Biochemistry of Indira Gandhi Institute of Medical Sciences, Patna is a third generation laboratory, backed by highly qualified and motivated team of Doctors and Technical staff. It is well equipped with latest state of art technology, to perform routine biochemical test for patients and starting a wide variety of super specialized investigations, such as Tumor markers, Therapeutic Drug Monitoring including Cyclosporin, Immunoglobulins, Immunofixation Electrophoresis, Osmolality, Iron deficiency panel, Stone analysis soon. To name a few sophisticated equipments, department have “Olympus” make Fully Automated Random Access Autoanalyzer with stat facility capable of doing Sepectro- photometric and Immunoturbidimetric analysis of various analytes, Smart -lab, an automatic batch analyzer with latest technology. Blood Gas analyzer, Electrolytes analyzer(ISE methods), Electrophoresis with Densitometer, Osmometer, Photometers, UV-VIS Spectrophotometer etc, tests are done within a very short period of time, requiring minimum sample volume. Special emphasis is being given on daily quality controls i.e. Internal Quality control as well as External Quality control, by participating in different International Quality controls Programmes, namely EQAS run by CMC, Vellore. The Quality control standards are maintained as per WHO recommendations. The reagents kits used for various analysis are selected on quality basis. The laboratory carries out complete work up Acute and Chronic Leukemias. This enables complete labeling of leukemias and thus helps in deciding the treatment and predicting the prognosis. The Laboratory also carries out complete work up of Anaemia including Thalassaemias. The Laboratory is using highly sensitive kits for PT and PTTk on a fully automated coagulation system. Bone marrow aspirates are carried out by the Haematology department to ensure adequate collection of samples. The laboratory maintains a high degree of internal and external quality control. The department of Microbiology at IndiraGandhi Institute of Medical Science, Patna provides accurate and reproducible results on clinical material within the shortest possible time. This has been achieved by round the clock laboratory services, Blood culture on automated system for aerobic and anaerobic bacteria, fungi of different strains. Identification and sensitivity of most of the organism grown could be reported in short span of time. Thus organisms causing life threatening infections resulting in bacteraemia could not only be grown, but their identification & sensitivity would also be available in shortest possible time, which would help greatly in institution of early specific antimicrobial therapy. Conventional culture for aerobic and anaerobic bacteria, fungi and amoebae from clinical specimen other than blood is carried out on most appropriate media in controlled environment. Detection of specific antibodies against different infecting organism, bacteria, fungi, parasites and virus) and autoimmune diseases are carried out both by conventional & ELISA system. More than 60 different types of ELISAs are performed in our department. Almost all conventional serological tests are available. Quality control (Q.C.) is followed strictly implemented and generates reproducible result compared to other laboratories in India & abroad. The department is actively involved in infection control activities of the hospital. Epidemiology and surveillance of hospital associated infections and training of all categories of staff is an ongoing programme. From time to time guidelines are laid down on different topics, which are complied periodically in the Hospital manual. » DMLT for laboratory technician training is association with Indian Medical Association. » The short-term training and preparation for research projects is being provided to Msc. students of different Universities and Labroatory technicians of different institutions. - Study of bacterial and fungal keratitis. - HIV seroprevalence in-patient with Tuberculosis. - Bacterial isolation and antimicrobial sensitivity pattern in UTI. The Histopathology laboratory caters the need of all kinds of cases from Gynae, Urology, Gastro-intestinal, Cardiovascular, Orthopaedic and Respiratory Medicine and highly specialized areas are such as Neuropathology, Oncology and pathology departments. Neurosurgical cases are done routinely. Frozen section studies is being started soon. Outside cases in the form of specimens for review slides are also undertaken. In order to achieve the goal of early and reliable reporting, the laboratory is equipped with high quality precision equipments including the Yorco-Automated tissue processor, Leica, Rotary microtome Yorco-Automated slide staining, Yorko-Digital cryostat Microtome. The Cytopathology section is well equipped. Both Exfoliative and Interventional Cytology (Fine Needle aspiration Cytology) are carried out with the help from Radiology dept, for imaging guidance (under Ultrasound and Computed Tomography) renders virtually all body sites accessible to the Fine Needle (for FNAC), thus allowing reliable tissue diagnoses at economical rates and minimal discomfort.